tl;dr: Investor Anshu Sharma, now of Storm Ventures, reflects on cutting Nutanix an early angel check years ago. I am the luckiest guy in the world. I met Dheeraj (CEO) during my years at Oracle more than 10 years ago and Bipul (board member) during my years at IIT more than 20 years ago. When Bipul reached out and told me that Dheeraj was building a company, I had never invested in a startup, but I knew one thing: always be closest to the smartest people you know. Despite my role leading platform at Salesforce, I knew very little about storage infrastructure, so I should have walked away. You should only invest in what you know, says Warren Buffett and every other investment guru I listen to. But, I wasn’t trying to invest. I was trying to learn how startups get made. I had recently become an executive for the first time in my career, and I was learning from the very best leaders like Marc Benioff, Parker Harris, and Steve Fisher. I was building new products that were on the path to billion dollar businesses. Yet, something was missing. I wanted to not just build products but also learn how to build a company from scratch. And I thought if I write a check, I would get to see how the sausage is made. And its been an amazing experience. Mission Matters: Dheeraj had a clear mission to turn our data centers into invisible infrastructure just like iPhone did in consumer space. Team, team, team: Dheeraj and his co-founders picked and hired some of the smartest people at companies like Google and Oracle, combining deep consumer and enterprise expertise. Big on vision, pragmatic on GTM: By focusing early on VDI as a high pain point, Nutanix was able to ramp up revenue early. Prioritize Long Term, Execute Short Term: Every time I talked to Dheeraj, he always focused on the long term — how the industry was evolving, where the market was headed, how VDI was only step1, hyperconvergence is only step 2, etc. Finally, we are all busy building our companies, and yet we are all part of one interconnected whole in silicon valley and globally. People you start working with go on to build their own great companies (hat tip Cohesity and ThoughtSpot) — just as Larry Ellison has a string of next generation companies like NetSuite and Salesforce, and Benioff has helped create many in turn. If Nutanix is going to be a true silicon valley success, the people that grow and the people that leave must, in turn, build their own successes. 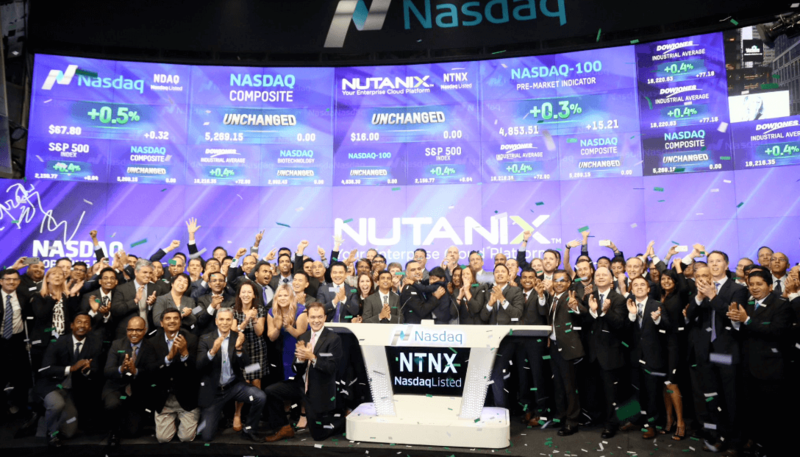 I am excited to see what happens when Nutanix starts trading, but I am even more excited to imagine how the team at Nutanix will change the world in next 10 years.